I am too old for this. Recently got back from that annual walk with Matthew. He was asleep about 10 minutes after we walked in the door. I am beat as well but plan to stitch for awhile. He still isn't feeling well..has a bad cold. I've started coughing as well. I do have to work the rest of the week but it is a light schedule. Hopefully I will sleep well tonight...I did do a little stash shopping today. Time to make the xs! my right hand hurts..lol! I hold my q-snap in my left and then stitch with my right. It hurts in the palm. Good news is I should have a finish within a few days. It is the dump truck for charity. I wanted to mail it by Nov. 1 and I might not quite make that but I'll be close. Then I need to start the ornament for St. Louis stitchers. I should not have a problem getting that done. I am finding that I have been stitching for 3-4 hours a day lately. Matthew was off sick on Monday therefore I was off as well. Today I worked but have been stitching this evening. 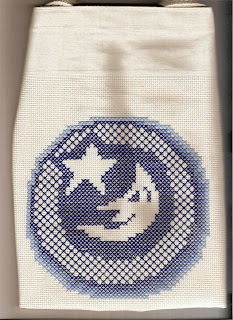 Tomorrow(Halloween)I am off but have a doctor appt and plan a trip to the stitch shop. 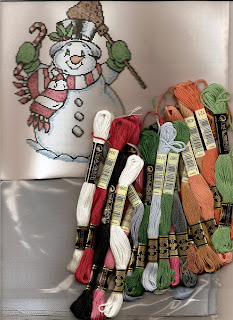 I am getting the stuff to do the snowman in Just Cross Stitch. I slept better Sunday night but not so well on Monday night. Hope tonight is better. I am off to make more xs! last night...see my book blog. Well it has been a tough weekend. I am not sure why exactly. I am still not feeling well and have started to have bizarre hip pain which is NOT good. Plus M has had trouble with friends all weekend and that is stressing me. I really miss Frank. I have noticed I am not doing so well when I am not stitching. I haven't felt like stitching in days and I am really down. Tonight I will pick up a needle at least for awhile and see if it improves the mood. Amazing what making small xs in fabric will do for you. On that note, I am going to put my jammies on and make some xs. Am I sleeping...NO, stitching....NO, shopping...well not really. Just looking...lol! Matthew is at a gymnastics Halloween overnighter and it is strange to be in the house alone with the dogs. I miss my hubby and son tonight. So not much sleeping going on. I haven't stitched in days and must get back to it sometime on Sunday. I need to get that charity square finished and off to Australis. Then I have one ornament due December first. After that I am taking some time off. Not from stitching..but from stitching for someone other than me or my immediate family. Well I am actually getting a little sleeping. Maybe tonight will be the night I sleep. Of course I have to pick M up from her over night in less than 4 hours. Maybe I should just stay awake. Well I am off to have a snack and then I will read. This is the jar wrapper I got today from Sibyl in Switzerland. Isn't it cool! I have had a bad day. Mostly kid stuff but I am wiped. Hopefully I can stitch tonight. Someone needs to smack me! What am I doing right now??? Right now? 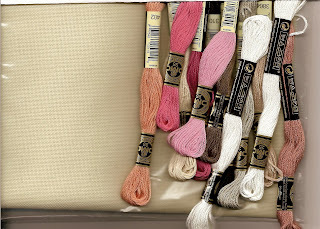 Let's see..I am putting charts I like into a cart at 123stitch, cruising ebay for good cross stitch deals and on paperbackswap thinking about what to order next. HELLO? I also got an order from JoAnns today..my light I ordered(thank you Carol and Jeanne). Let's not forget that this past weekend I got tons of cross stitch at the stitch in(good buys though)and went to the stitching shop as well. Plus I went to booksamillion twice in the last week and got 2 books in the mail today from paperbackswap. 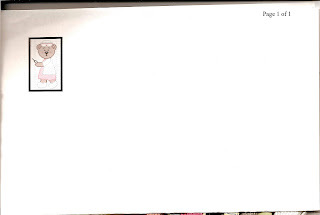 I am not sure if I just like mail or I am trying to fill in whatever is missing. UGH! Man oh man.. I am NOT sleeping! I am so so tired of this. Tomorrow is a busy work day and then in the evening we have the cub scout Halloween party..ugh! I have been stitching and plan on returning to it in a few minutes. I want to work on Val's Stuff "I'm alittle batty" so true I know! But I have a charity square due in November in Australia so that is coming first. My dump truck is looking more and more like a dump truck daily...lol! Luckily I am doing it on 11 count and it is very mindless...kinda like coloring. Easy to do when I am sleepy. Problem tonight is I am NOT sleepy at all. I plan to watch Days of our Lives, Show me St. Louis and Oprah while stitching hoping to get sleepy. Then I may read. My new Bookmarks magazine came today. Outlander is getting good(as I knew it would being a reread). I know I am rambling but I am putting off going to bed. I already talked a friend to sleep on the phone..lol! Nights like tonight make me regret staying in MO while dh went to WI. I know it is too late to change my mind on that one but I wish I could turn my brain off. Okay everyone...wish me some sleep again! It has been a long week...LOL! I know it is only Tuesday but I am so looking forward to the weekend. It is the stitch in! Best weekend of the year in my opinion. Friends, food, laughter and stitching. Oh and can't forget the shopping..lol! Knowing that it is my favorite weekend of the year, Frank was asked(yes by me) before he even knew when he was going to WI to be home this weekend. It was my one request. So he is flying in Wednesday night to continue working on the house. Thursday I am off and will be getting stuff ready. Friday's plan is to go to Matthew's conference, have lunch and then I will be off. Only downside is that since Frank is flying we will be a one car family this weekend. However the gal's whose house this is at lives about 10 minutes away with traffic. Late nights are a must but hubby(sweet guy that he is)has already agreed to come and get me no matter what the time is. He may regret that! Sleep will not be plentful this weekend. Alot of the girls stay over and that would have been wonderful but my joints scream too much to sleep anywhere but home. Plus I would not take floor space from the girls traveling so far. 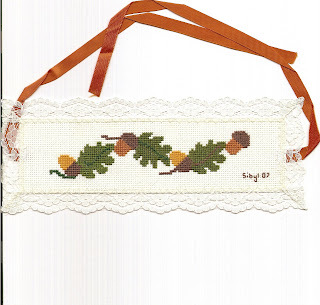 This week was getting "in the mood" I have been stitching at night. However last night it went so late that I had to frog every stitch I took...UGH! So on that note, I am off. I also dusted off a favorite book for a reread with a bookgroup. Outlander the beginning of my favorite series. I may just reread them all although at about 1000 pages per book that is a huge undertaking. Hopefully this will bring me out of my almost 6 month long slump. This evening homework battle and being put to bed was a NIGHTMARE!!!!!!! He is in bed now and hopefully will be asleep soon. I just have a few more things to get done for morning that I am off to stitch and relax. Hopefully then to sleep. Well after my first weekend alone with Matthew, I am searching madly for a sitter. I about went insane this weekend. Now it was a 4 day weekend for him. The big issue is me not sleeping as well. If only I could sleep....I think it may be partially med related so plan to hash that out with my doctor on Wednesday. In the meantime...I have a plan. First I made a big purchase this weekend, a MP3 player. I did it because the St. Louis County Library offers audio books in mp3 player format for free. I hope to eventually be able to listen to books as I stitch. 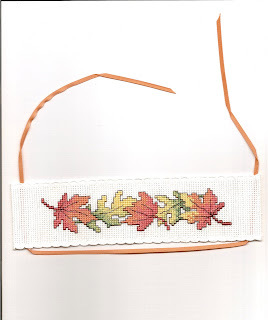 Tonight I plan to stitch as I watch Desperate Housewives. I also plan to start my evening routine earlier...getting ready for bed, reading my book, etc. The Picoult book has got to go. It is about a school shooting and I don't need to read about that. So I am going to find something lighter to read. What..I don't know. I am also going to change how I take my evening meds to see if that helps. Tomorrow I am back on the bandwagon with curves. I fell off after a short week or two on. Life has just been so stressful lately that I feel like I am constantly behind the eight ball. This will be a busy week work wise and I am bumed I have to miss my stitching group on Monday. But next weekend is the stitch in. Also I have a sitter I am interviewing this week. I have mixed emotions tonight. For those who asked, my head continues to hurt. I believe it is stress related and made worse by my inability to sleep well. I think it is almost three am here and I am not even tired. No stitching done since Thursday for no good reason why. Hubby is away in WI and I am going crazy. I don't know if I can do this for another year or so. IT is very difficulty. Our son has alot of needs and Saturday was awful. Tomorrow I would like to take it easy, stitch etc but we are going to a fall festival. It can be fun but can also be alot of work with Matthew on my own. I have been trying to read a bit but I am not liking the current Jodi Picoult. Maybe I need to move on to something else. If it is not holding my interest by Monday...back to the library it goes. Things here are fairly good. Frank left on Wednesday and made it to WI safely. One issue we had is last night it got cold here and I wanted to turn on the heat. It wouldn't come on. With him talking me thru it on the phone, we determined it was the pilot light that was out. He wanted me to light it..NOOOOOO!! I checked the 10 day forecast and decided to just wait until he gets back next Wednesday. I got alot of stitching done last night since I don't sleep anymore. I worked about 4 hours on the dump truck for Australia. It is starting to look more than a blob. Tonight is Thursday with "must see TV" so I should get lots done. Today Matthew had a 1/2 day so this afternoon we went shopping(see I am in this habit). We went to walmart, target, local bookstore and stitching shop. At walmart I got 2 cds..greatest hits of Tim McGraw and of FAith Hill. At Target, M got a new ds game and some clothes(jeans, pjs and shirts). I got books. At the bookstore we both got books. At the stitching shop, I got the stuff to make my STL stitchers ornament so I can't tell on here, she might just be reading alot. The day finished off with a trip to the library and grocery store. Which one will I read first? None of them..lol! I waited months at the library to get Jodi Picoult's Nineteen Minutes so will start that tonight. As for stitching, I am not sure. I am really cruising on the dump truck so may continue with that. I plan to kit up my ornament tonight. Then I may work on the fall jar wrap exchange. So many things to do, so little time!!! OMG...I think my head is going to blow off! I have now had this headache for over 24 hours. I also feel like I am getting sick...ugh! Not to mention someone in almost all of the kiddos I saw today is sick..ugh! Keep those germs to yourself! I called doctor today about the flu shot..they won't give them until the beginning of November. I don't get it because I always got mine in October so it kicked in by November. If I get the flu...of course this doctor is an idiot! So what is everyone stitching and/or reading? Well I am off to do something..LOL! Well I didn't sleep again last night and since I wasn't partying and I am no longer 21, it isn't fun. Not sure what is going on with me but it stinks. Today was a workday and it was an okay day. Busy and got a new interesting case. However it is a mess so will be lots of work. I have a massive headache today probably from not sleeping well for weeks. I plan to talk to my doctor when I got next week. I also have an upset stomach and scratchy throat though so maybe I am getting sick. Hope not! No time this week. Anyone out there have sleeping issues and do you have some advice. I am really really crabby tonight as well. Hopefully sleep will come. I am going to turn in early and maybe stitch or read a bit. Is it really Sunday night already??? Man where did the weekend go....well I know but??? Friday was lunch at school and M's doctor appt. Saturday was the NFNF picnic and then M and F went to the boyscout BBQ. Today was a good day. I met two online friends..Mary and Barb. Mary lives in IL and Barb was passing thru St. Louis on a cross country road trip. We just hung out, talked and then ate..spent about 4-5 hours together chatting. These are two of the ladies that got me into the charity stitching. So of course stitching was part of the conversation. Turns out they read like me as well so perfect. The picture in this post is of us at the St. Louis Bread Company. Continues to be hot here in the midwest. I hear though that by midweek fall is arriving. About time!!! This week is strange for me. I am working Mon, Tues and Wednesday. Frank is leaving to go back to WI on Wednesday. Thursday, M has a 1/2 day of school so I am only seeing one client and then he is off Friday so I am as well..lol! Next week is similar due to conferences on Thursday and Friday. But the best news is Frank got a flight from WI to be here the weekend of Oct 19. Which means I will definitely get to the St. Louis stitch-in as he will be here with Matthew. YEAH for me!!! It is late at night almost 2am I think and I can't sleep. This seems to be a big problem lately. I don't know why. I have also been upset lately. Maybe things are starting to hit me, maybe not. 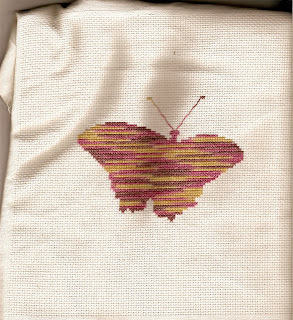 I have been stitching some and will continue. It seems to help the stress. I haven't stitched today yet so maybe that is the problem. Even if I just put in a few stitches it helps. I have a feeling I may have other late nights at this computer. Tonight I am just quiet. Why do I feel the way I do? I worked today and I swear things just kept going wrong. In a nutshell I drove to the office to pick up bus passes for clients. They were not in my mailbox. One gla needed hers for school tonight. So I went and got her a weekly one and started towards her apartment. Realized halfway there that I had bought her a bus pass for next week..ugh..then got a call that the girl with the passes was back at the office if I wanted to go get them. Un..NO!! In the end, I gave the gal the pass for next week and $10 to get to and from school tonight. Will deliver her monthly pass next week. Nothing difficult just frustrating! Then I came home and got more packages...lol! I got my purple stuff from Karen(csf) and it is totally cool! Plus I got an order from 123stitch and I have another coming. Maybe I should SSTOP shopping!! !Tonight is thursday though and my FAVORITE night on TV! I am taping Grey's as we speak(?read)and then will watch ER. I am OFF tomorrow and the biggest bonus of them all is I finally slept last night. I have not been sleeping all week. Hopefully I will sleep again! What an AWESOME MAIL DAY!! The pictures are not great because they are scanned but this is my wonderful stitched tote from Kayle at ILCS and 2 awsome pattern..a nurse bear and snowman. Beautiful fabric which does not show up well in the scan. The one for the snowman is blue and the one for the nurse is yellow. All the flosses! Love it all..thank you thank you thank you! She also sent me a bag of mini snickers..guess I have lunch for the rest of the week..lol! In the mail I also got some fabric I had bought...aida for love quilts and some different colors linen. Anyway a WONDERFIL day from Mr. Mailman! October is my FAVORITE month! The stitched picture is the one I did for a tote exchange for a yahoogroup. I finished it last week but couldn't post until my exchange partner got it today. It was my first time stitching on a tote and I actually enjoyed it. It was fun and that pattern was easy. I started a new stitching project last night and I worked several hours on it. I have been stitching alot recently. I still cannot read an actual book but am reading magazines. I have 2 f2f bookclubs next week and need to get cracking. I am still reading magazines. I am going to get off her to get some stuff done. I have to work tomorrow.